Moore, Oklahoma is a town we will not soon forget. The nation looked on in stunned silence at the devastation from the violent tornadoes that visited this community. Too many realized too late that a truly safe place was all that stood between life and death. Storms often come without warning. Some are more severe than others. 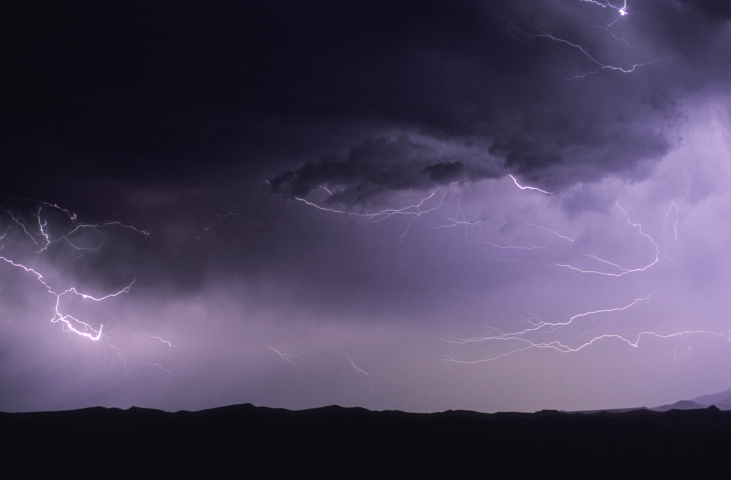 Some storms threaten our physical safety while others wreak havoc on our emotional wellbeing. Preparation is key for storms not to be too costly. As the people of Moore discovered, everyone needs a safe place. As a pastor's wife of 24 years, finding a safe place in the midst of ministry was my greatest challenge! Early on, I tried confiding in women within our church body. That worked well until they became upset with my husband for some decision they didn't agree with and then all the sudden all bets were off! Those who I thought were my friends and confidants suddenly had greater agendas! Places I thought were safe left me vulnerable and unable to weather the storms. People in our churches don't intend to be unkind or unsafe. They are broken, sinful folks just like us, in need of grace. Nevertheless… we all need a safe place! As I have weathered the storms of ministry, there are two things I have discovered. First, there is no safer place to be than in the arms of Jesus! I will be forever grateful for those who drove me into His arms. Their lack of safety caused me to develop an intimacy with my Savior I might not have had otherwise. My husband and I now work for a ministry in Colorado called SonScape Retreats. It is a safe place for people in ministry to come and retreat with Jesus. On our retreat center's back wall, these words from Matthew 11:28 are stenciled, "Come to me all you who are weary and burdened and I will give you rest." As a pastor's wife, I often was weary and burdened. As I moved toward Him with all I had and was, He met me and gave me rest. My safe place! The second thing I discovered happened by accident. Our last seven years in pastoral ministry I spent working outside our home. This was new for me! I went back to teaching in a Christian school, which I had laid aside after our seminary years. There I met some wonderful, fun women who defined me by me, not my husband! At last I had friends who were not in our church and who became for me a safe place. Whatever your situation, a safe place is needed. We all need a fortress, a place of comfort, a shelter, a place where the winds cannot reach us. For those of us who are wives of pastors, the road may be more difficult. Don't give up! Preparation is key for storms not to be too costly. There is a safe place for everyone who wants one. Don't wait! Written by Sandy Schafer, who was a pastor's wife for 24 years before joining the staff of SonScape Retreats five years ago. Sandy is a former elementary school teacher who loves kids. She has two sons and two grandchildren.